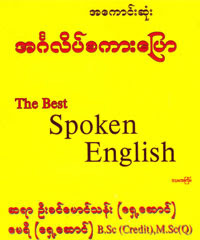 This book will help you to learn English very fast and at least will give you some very important information about English language. Now you can download it just for free so that you can just keep it in your android or IOS phone to read at your convenience. Learning from books is not outdated yet as most of us think. Book can give you very precise knowledge of any subject because it contains a lot of information that we need. So i assume that you will really like this book and improve your English grammar and speaking skills for the greatest level.